'Doktor Vatson' Доктор Ватсон (Olga Riabykh, R. 2013) Seedling 0443-1. TB, 31.5" (80 cm), Early midseason bloom. 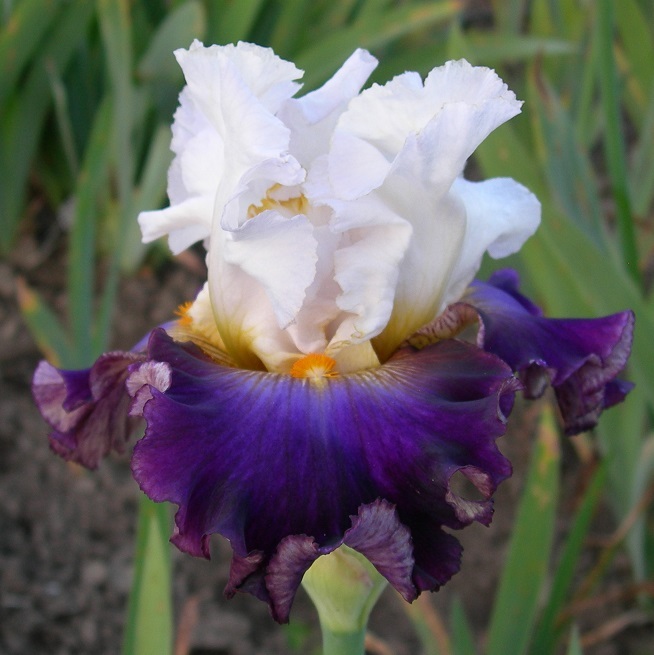 Standards white, mustard at base; style arms white, bright yellow midrib and edge of crests; falls lilac in center changing to violet towards edges, light lilac edge, plum-brown on yellow-mustard haft pattern; beards orange, light yellow base; ruffled. 'Snapshot' X ('Mastery' x 'Decadence').